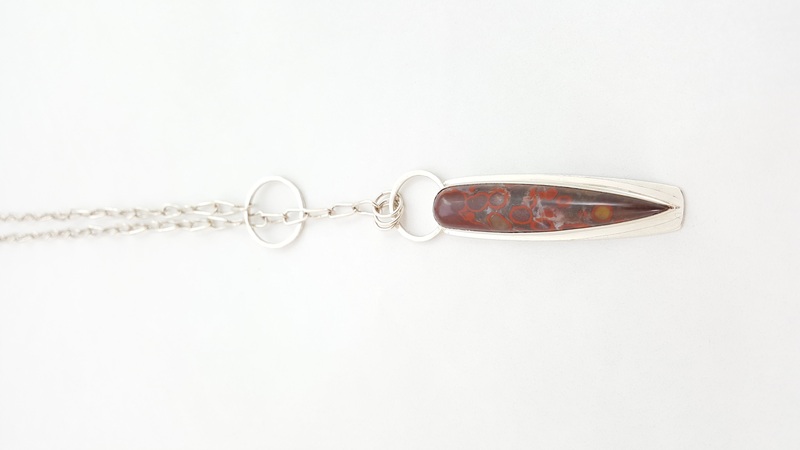 This poppy jasper is set in sterling silver and hangs on a handmade sterling silver chain made of links that mimic the shape of the stone. 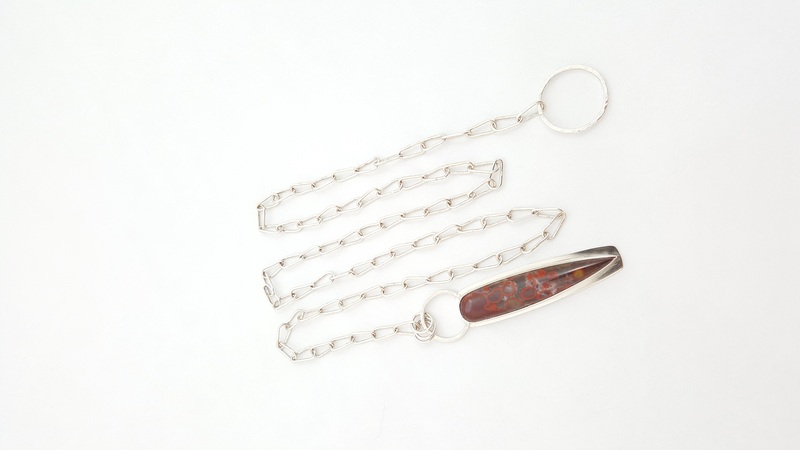 The chain 28 inches long, and slips through the large silver ring on the other end of the chain. The shape and color of the stone are like the lone rosehips that survive the first frost and hang on into the winter, dark red with age and framed in white snow all around.